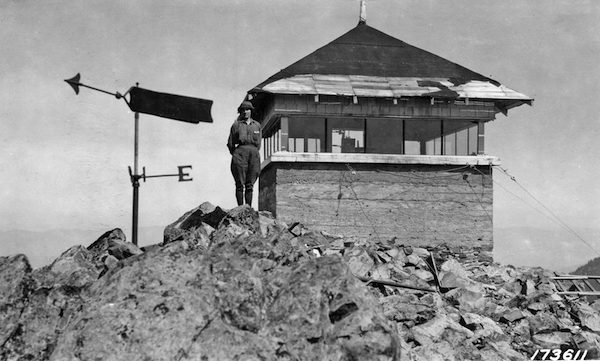 The small lookouts were built on high points around Oregon and the west. A boom of construction occurred during the 1930s and 1940s. There have been about 900 fire lookouts built around Oregon, but less than 175 remain today. 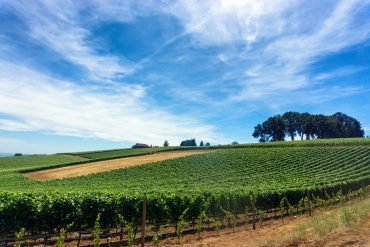 Hill, an Oregon native and an avid hiker and photographer, became fascinated with these historic structures. She has summited many of the peaks in Oregon and Washington that are home to fire lookouts. She became intrigued by their history and by the people who staff them in the summers to keep watch over the land. 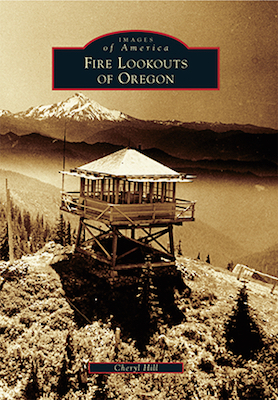 Fire Lookouts of Oregon is a collection of historic images—many images of lookouts that have been torn down or rebuilt. “I gathered some really great stories—really interesting people. It’s a good snapshot of the history of lookouts, what the job was like, and how things have changed,” she said. Today, the Forest Service rents out some of the lookouts in the off-season, so anyone can experience a unique overnight stay in Oregon’s backcountry. The lookouts are primitive camping sites—there is a shelter, but there is usually no water and no electricity. The link to more Lookout Photos is 404’d might want to look at that. 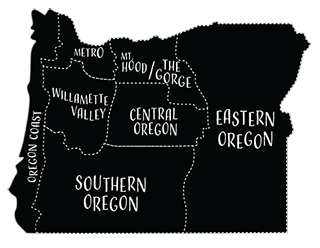 I grew up on a farm in the hills out of Molalla. Having received a college scholarship from Crown Zellerbach, I was also offered the opportunity for summer employment manning fire lookouts on their timberland and near their logging operations. I spent the summer of 1959 on Ashof Butte in the Bull Run looking directly east at Mt. Hood. The cabin was on the ground next to a 90 foot tower with only a small viewing room at the top. The summers of 1960 and 1961 were spent at High Camp Lookout on Round Mountain between Goat Mountain and Table Rock in the Molalla River watershed. The cabin was on top of an 80 foot tower with views of the Willamette Valley, Mt. Jefferson and Mt. Hood. A productive patch of huckleberries near the base provided delicious contents for many pies served to my family members who brought new provisions and visited nearly every weekend. Neither lookout has survived. Grew up in the fire industry in Linn County…spent a summer on Green Peter Lookout and worked as a relief lookout on Monument Peak, Scott Mtn and Swamp Mtn. My mother Rose Trenholm also spent many hours doing fire watch on the various mountains. My father Bud Trenholm was the District Fire Warden and in charge of the lookouts in the Linn County Fire Patrol area. It was a good experience!!! My grandmother and then my mother were on several different lookouts in the '50s and '60s. They also shared fond memories of those days. Wife and I staffed 2 lookouts on the Umatilla NF for nine seasons. Much lightning, many fires, many visitors, much adventure and all as late as 1997 to 2005. I had a large collection of 360 degree panoramic views taken from state and federal lookouts in parts of southwestern Oregon. All of the photos were taken in the 1930's; they even had the compass marks on them so you could tell which way they faced. Unfortunately, I "loaned" them to a friend of a friend and the were never returned. My mother and father manned lookouts in the Ochocos. I was fortunate to spend my summer months with them from infancy up into my 20s. A truly amazing experience that has had a profound impact on my life. My great grandfather and my mother manned one in eastern Oregon out of Lakeview around 1930.